At LG, life is good, and each day, LG is trying to make life better for you. 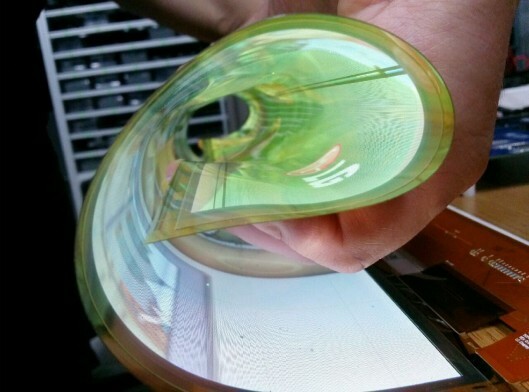 Their latest technology, flexible flat screen TVs, holds a real promise for the future. The ingenuity and compact design are sure to attract many who’ve outgrown their existing hefty flat screen TVs with back panels. Still in the prototype phase, the new design is a progression of the technology seen in televisions. From plasma to LCD to LED to OLED, it was only a matter of time before consumers were introduced to the next step. To everyone’s dismay, the next step is a leap in technology. The “O” in OLED stands for organic and removes the back panel, which offers consumers the ability to roll up their television. Currently, the OLED TV only folds one way, which isn’t a problem. The design team admits that it can be folded in the opposite direction, but the circuitry makes it too complicate it right now. Additionally, the TV can’t be folded like a piece of paper. Doing so will create permanent damage. In addition to reducing the load consumers are required to hoist around when they’re moving or changing their rooms, the OLED TV will introduce consumers to the next dimension of high definition TV—4K. With 4K, consumers can view their favorite shows and movies at four times HD. The prototype is only 18 inches, but LG plans to develop a model that’s 55 inches. Unfortunately, LG won’t hint at the release date for either TV. With the prototype still needing tweaking, consumers have no other choice but to wait for the release of their new flexible TV.